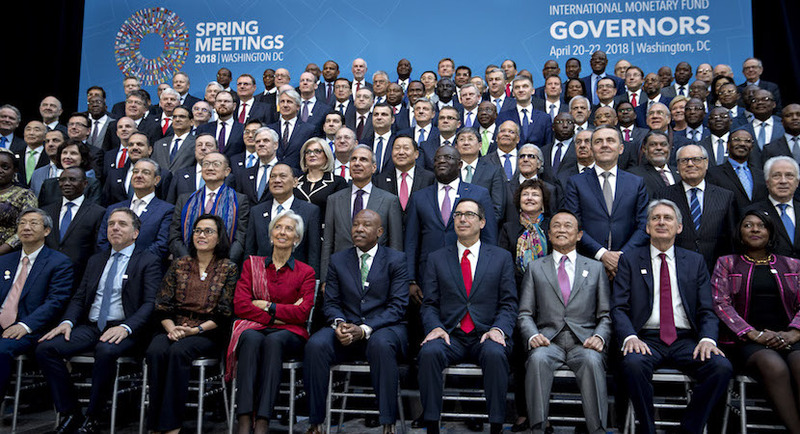 (Bloomberg) – It may all come down to the discipline of central banks to determine where emerging markets are headed after another tumultuous week. A JPMorgan Chase & Co. gauge of expected swings in developing-nation currencies climbed last week to the highest level since February as the dollar’s appreciation rattled investors. Argentina unexpectedly raised interest rates on Friday for the third time in eight days to 40 percent, the highest among major economies, as the peso tumbled. Turkey’s lira and government bonds slid to record lows, fueling speculation that policy makers will have to tighten further to anchor the nation’s assets. Investors are assessing the fate of emerging markets as the dollar strengthens and expectations for higher U.S. interest rates harden. Global funds pulled a net $1.2 billion from developing-nation debt from April 25 to May 2. A Bloomberg currency index that measures carry-trade returns from eight emerging markets, funded by short positions in the dollar, declined in the last three weeks as the 10-year Treasury yield held close to 3 percent. An index of developing-market currencies weakened for a fifth week, the longest losing streak in almost three years. The MSCI Emerging Markets Index of equities slumped 1.7 percent, and the Bloomberg Barclays global EM currency government debt index slipped 0.8 percent, its fourth week of losses. The declines may continue as data this week show U.S. inflation accelerated, underpinning the dollar. The U.S. currency is poised to extend gains as the Fed hikes rates each quarter, according to Mansoor Mohi-uddin, the head of foreign-exchange strategy at NatWest Markets in Singapore. In the wake of a dramatic series of emergency rate hikes to blunt a plunge in the peso, traders will look to Argentina’s central bank for more clarity on how it plans to calm distressed investors. Benchmark rates at 40 percent pulled the currency into positive territory Friday. The government backed up the central bank’s efforts by revising its primary deficit target, a move that Goldman Sachs Group Inc. said was “fast and bold.” Yet investors are seeking more fiscal commitment and realistic inflation targets. The peso’s 15 percent retreat this year, the most among the world’s major currencies, is fueling expectations that inflation will accelerate. It closed at 21.8642 per dollar on Friday. Elsewhere, a recent spike in Romanian money-market rates suggests the central bank may raise borrowing costs for a third time this year when it meets on Monday. And in the Philippines, investors will watch if policy makers meeting Thursday will lift the benchmark rate for the first time since 2014 to curb inflation and stem the weakness of the peso, the biggest decliner in Asia after the Indian rupee this year. In Peru, economists expect the central bank to hold rates at 2.75 percent amid evidence inflation has bottomed and economic growth is rebounding, ushering in the end of the easing cycle. The Peruvian sol joined a slide in emerging-market currencies over the past month to test a key support level. Serbia and Malaysia are also seen keeping rates steady this week. Politics will have its say. Malaysians will vote Wednesday in an election contest that’s pitting Prime Minister Najib Razak against the nation’s former premier, Mahathir Mohamad. Malaysia’s benchmark stock index is close to an all-time high amid a rally in consumer stocks this year, while the ringgit is Asia’s best performer so far in 2018. Najib is fighting for a third term that will extend 60 years of unbroken rule by the Barisan Nasional coalition. At the last election five years ago, he led his alliance to its worst showing, losing the popular vote yet winning control of the parliament by its slimmest-ever margin. Elsewhere, Lebanon will hold its first parliamentary elections in nine years, a pivotal moment for the country as it tries to ease a crippling debt burden and avoid being dragged deeper into some of the Middle East’s escalating crises. While the polls are scheduled for Sunday, the post-ballot focus will be on building a cabinet able to carry out measures sought by donors, a complicated task in a country where divisions have stymied reforms for decades. President Donald Trump has said he’ll decide by May 12 whether the U.S. stays in or pulls out of the 2015 nuclear deal that lifted some sanctions on Iran. Mexican traders will follow Nafta talks as cabinet officials return to Washington along with Canadian peers to seek breakthroughs for a final deal this month. While risks to the agreement appear to have eased, economists say they haven’t completely disappeared and that Nafta is still a market catalyst. China’s export data for April on Tuesday could give an indication on whether trade friction with the U.S. has started to have some impact. Indonesia reported on Monday its economy grew at a slower pace of 5.06 percent in the first quarter from a year earlier. The Philippines is also due to release gross domestic product figures on Thursday. Indonesia will also unveil on Tuesday its April foreign reserves, which should indicate the extent to which its central bank intervened to keep its currency stable. Brazil’s April inflation data, due Thursday, will be watched closely. Traders in swap rates are split over the possibility of another rate cut. The real is among the worst-performing emerging-market currencies in the past month, triggering central bank intervention via rollover swaps auctions.